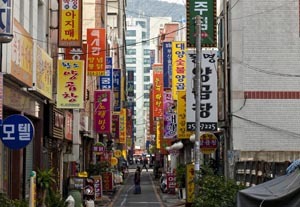 Busan may be much smaller than Seoul, but its events potential is on a par. For a five-star hotel chain, try the 601-room Grand Hyatt Seoul that can host up to 2,000 in its Grand Ballroom, and five smaller function rooms. Then there's the Lexington, the city's first New York-style business hotel, with eight different-sized meeting rooms. The top venue - and tenth biggest exhibition centre in the world - is Coex, a 437,221m2 complex. For a less-traditional meeting place try the Gana Art Centre, a cultural complex with three exhibition halls and an outdoor performance stage. 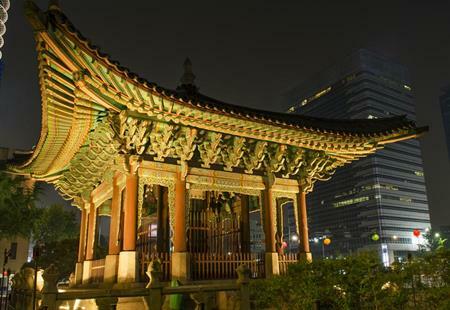 Korea House is a traditional-style Korean restaurant, serving speciality 'royal cuisine', inspired by a regal banquet. Byeokje Galbi specialises in a local favourite - tabletop barbecues - and appeared in the Wall Street Journal's list of the top-five Asian eateries. Delegates should try a lesson in Korea's national martial art, taekwondo, finishing with the breaking of a block of wood with bare hands. By contrast, opt for traditional cooking at Yoo's Family, an authentic home with classes taught by family members. For size and opulence, opt for the 320-bed Haeundae Grand Hotel, with its Grand Ballroom for up to 1,500 and Convention Hall for up to 1,000. Homers Hotel has a spectacular meetings spot: the Sky Banquet Hall, on the 20th floor, facing the sea. Bexco is a single-storey and pillar-free exhibition hall that can house up to 1,800 booths, and features an exhibition hall the size of three football pitches. The glass-fronted Apec House has almost 3,000m2 of convention space and is on a small island. Try the 300-capacity Gaemijip, which specialises in seafood, including nakji bokkeum (spicy stir-fried baby octopus) and spicy seafood stew. The 400-seat, family-run Kangchon Garden serves Korean food, including beef ribs marinated in ginseng. The most popular incentive venue is Spa Land, a 22-spa complex with 13 themed Jjimjilbangs (traditional bathhouses). A temple stay is a must: try Geumsansa, which offers Yebul (a ceremonial service with chanting) and Chamseon (Zen meditation).